Fast-growing food company Drytech from Tromsö chose Strömstad for their new warehouse to increase sales within the EU. As a bonus, the new location has simplified handling of customs and VAT, and Drytech’s customers get their deliveries faster. “Our establishment in Sweden is even more of a success than we ever dared to hope for. Immediately, we got 40 new customers. Since we started in Strömstad in spring of 2016, we have the competitive edge of being able to offer faster deliveries to our customers within the EU” says Monica Mathiassen, Key Account Manager at Drytech. Drytech develops and manufactures freeze dried foods for customers on the outdoor market as well as for armed forces. To simplify handling of customs and VATs for the EU market, the company searched for locations and partners in Sweden. After speaking to agents from several municipalities in Southern Sweden, eventually they decided to build their new warehouse in Strömstad. 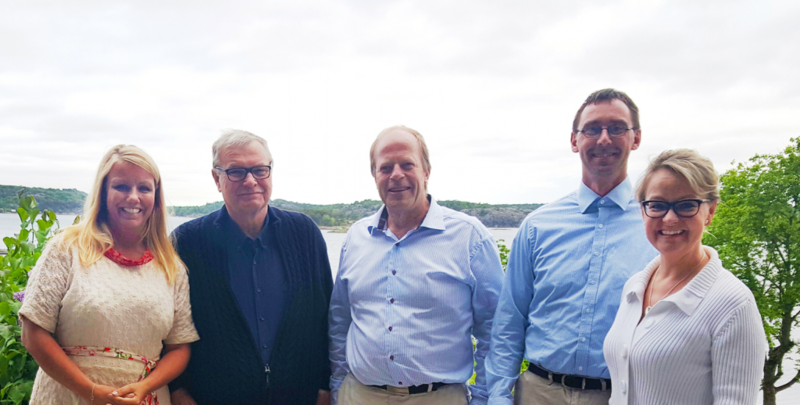 “The fast and very professional service we got from the Position West office as well as from the municipality of Strömstad was a decisive factor” says Mathiassen. Today, Drytech works closely with EU-terminalen i Strömstad, a company specialized in assisting Norwegian companies operating within the EU with customs and VATs. EU-terminalen i Strömstad also helps Drytech with storage and logistics. “Since we fly down from Northern Norway, Strömstad’s location relatively close to Oslo’s Airport is great. Establishing in the Position West area is a perfect logistic solution for us on the large EU market” says Mathiassen. Norwegian Drytech has been making freeze dried meals since the 90’s. With high quality ingredients and their own freeze drying technology, they create meals which has the same taste, look and feel out in nature as it would at home in your kitchen.